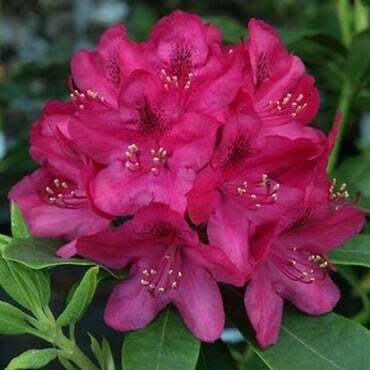 Rhododendron Titian Beauty certainly is a beauty, a compact evergreen shrub with loose trusses of long-stalked, beautiful bell-shaped, deep red flowers in late spring and early summer. 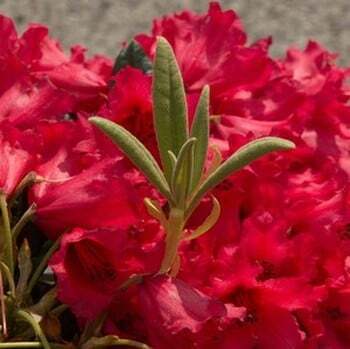 A medium low growing compact shrub that typically grows to around 4-6 feet in height producing lax trusses of tubular-bell-shaped, waxy flowers 3.5-5cm (1½-2in) long on long stems above the foliage. 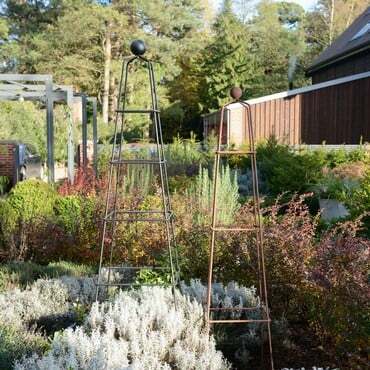 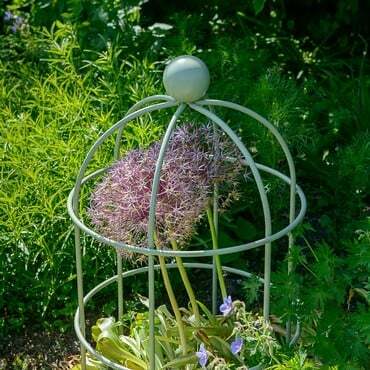 Ideal for growing at the front of a border, adding colour to a woodland style setting and a good choice for growing on the patio in containers. Evergreen - medium leaves 5-15cm (2-6in) long with a thin, brown indumentum beneath. 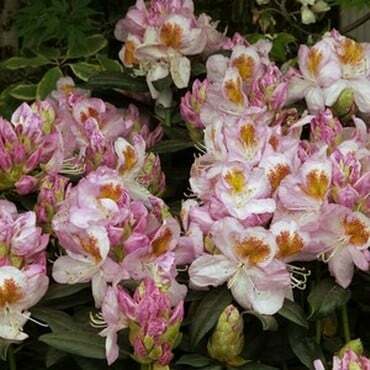 Hardy in most places throughout the UK even in severe winters.